Round belt decoration in greyish pink embellished with a variety of hand-crafted accessories. You can also find the matching basic belt ELW170586520 col. 02001 Nero in our Shop. 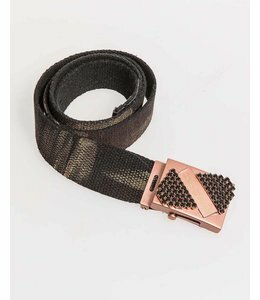 Black cotton belt with golden speckles and a copper-coloured buckle embellished with black diamante.